Women pilots have been around since 1908. 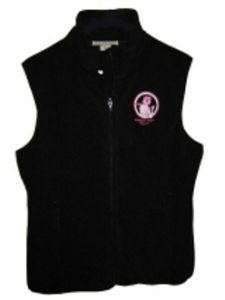 The early women pilots or aviatrices (one is called an “aviatrix”) had to put up with wearing Flight Jackets made for men, unless they could make their own or get someone to make one for them. During WW2, women pilots were employed all over the world, especially in the role of ferry pilots. They flew anything and everything from fighters to heavy-bombers delivering them brand-new from factories to front-line units. They did not have much choice as to what they wore. 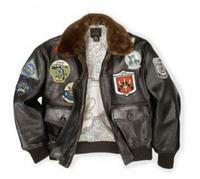 But now, made famous in the movie “Top Gun”, the G-1 jacket is also available for women. 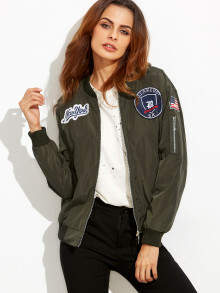 The redesigned USAF 1950’S MA-1 Bomber Jacket. These days a woman does not have to be a qualified pilot to be able to wear a Flight Jacket. Various jackets have been redesigned for women, including a new version of the USAF 1950’s MA-1 Bomber Jacket (seen here to the left,) taking into account today’s fashions. 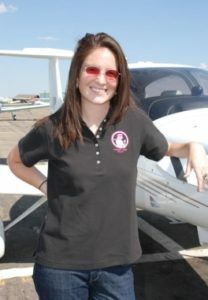 or how about a Pilot Polo Shirt?